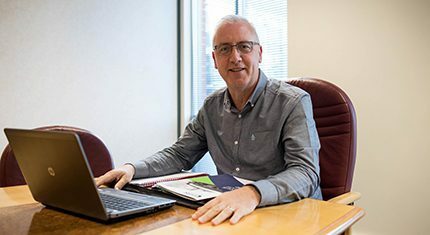 “It’s vital that everyone who uses heating oil has a say on A Future Framework For Heat In Buildings – and seizes the opportunity to voice their opinion to make a difference to this most critical government consultation,” says FPS chief executive, Guy Pulham. “The current government’s policy seems to be encouraging moving rural households and businesses – currently using oil heating – to electrically driven heat pumps to cut carbon emissions, reports Guy. “According to the latest quarterly data released on 30th April 2018 by Sutherland Tables, running an oil condensing boiler currently remains far cheaper than any renewable heating options. The average annual cost of heating a three-bedroom home in Great Britain with an oil condensing boiler is £1143 per annum compared to an air source heat pump radiator system at £1685 per annum and electricity is £1913 per annum. For homes using an LPG condensing boiler the cost is £1567 and wood pellets is £1532. A Future Framework For Heat In Buildings is calling for ideas and evidence on how best to decarbonise the 1.2 million homes across the UK that use oil for heating. The FPS is urging the 1.2m homeowners in the UK who use heating oil, to take part in the government’s consultation and submit their views to make a real difference to the future of heating oil, before the 11th June deadline. “The Energy Savings Trust estimates that the cost of installing heat pumps is at least £6000, with external wall insulation costing £8000 and internal wall insulation £4000,” added Guy. “There are plenty of things that can be done to decarbonise the heating oil industry and still ensure it has a bright future,” added Guy.